Stormtroopers are elite shock troops fanatically loyal to the Empire and focused on the Imperial cause. Their iconic white armor, which offers a wide range of survival equipment and temperature controls allows the soldiers to survive in almost any environment. With blasters in hand, Stormtroopers attack in hordes to overwhelm their enemies enforcing the will of the Empire. 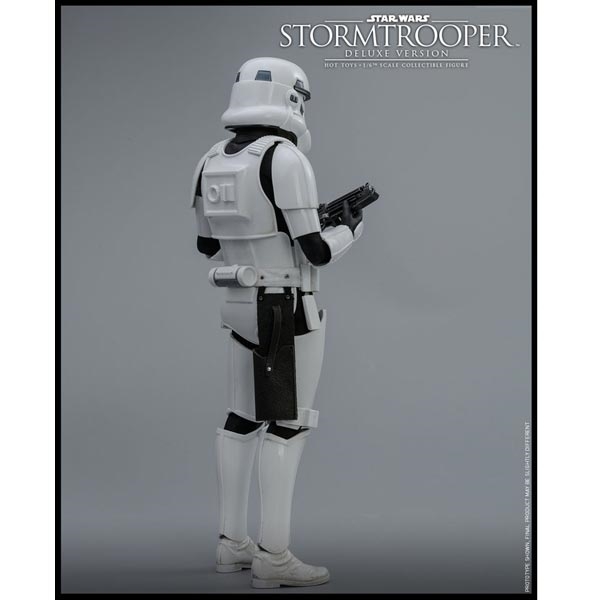 Sideshow and Hot Toys are delighted to present the Stormtrooper (Deluxe Version) Sixth Scale Collectible Figure from the classic Star Wars films. 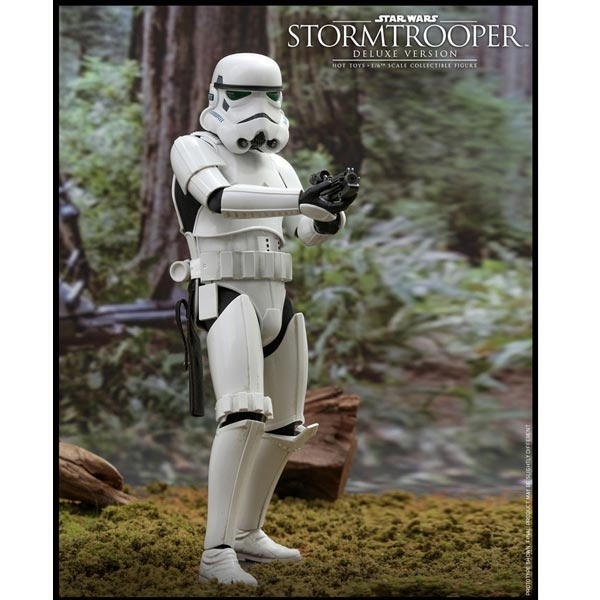 This highly accurate collectible figure features a newly refined Stormtrooper helmet and armor allowing improved articulations, all new paint applications, a fabric under-suit, and a blaster rifle. This Deluxe Version will exclusively include a specially designed space station themed diorama figure stand with LED light-up function! 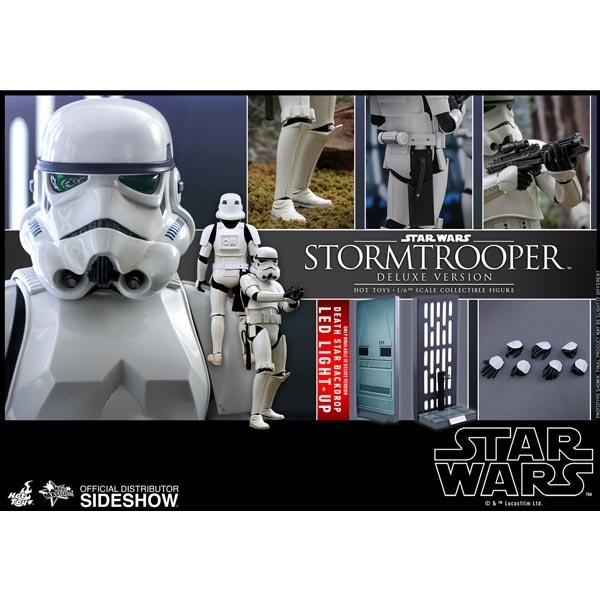 Specially designed figure stand and Death Star wall panel diorama backdrop with LED light-up function (white light, battery operated) ** Exclusive to Deluxe Version Only.